I'm always eager to learn more and more about nutrition, but when it starts to go down the biochemistry path I get lost easily. Is there any good textbooks out there that would introduce the most important concepts for people without any background in it? Anything that could help me fully understand Peter's posts from Hyperlipid or the biochemistry part of the Sugar, a bitter truth lecture, that sort of thing. omg. LIPTON IS A GENIUS. And an energetic, enthusiastic educator! Have the 6th edition of Biochemisty authored by Berg and Stryer. It is very well written. jinx! Upvote for thinking alike. When they state that it is a review book, that means that it covers the essentials for medical boards studying rather than going into extraneous details. I found the book to be easy to read and understand eventhough I had never taken biochemistry before. The best part of the book, in my opinion are the illustrations. They are easy to follow, colorful, and detailed enough to get the whole picture. I believe if you have a basic understanding of paleo nutrition, then the book will be a great resource for further understanding of what is happening in the body. Paleo Seb, you are so right! Now I don't even want to read it either! The used price is quite good. However, do you think this book would be good for newbies? I was reading the book reviews and it was repeatedly mentioned that this was a 'review' book and not a beginner's book. Several readers mentioned this book would not be good as a first time learner's book. It does seem to fit the bill, even though reviews are not excellent. Good question, I wanna know too! I think that if you are interested in understanding the scientific details of nutrition and biochemistry you would enjoy reading this book. It is expensive as it is an academic book but is worth the money. 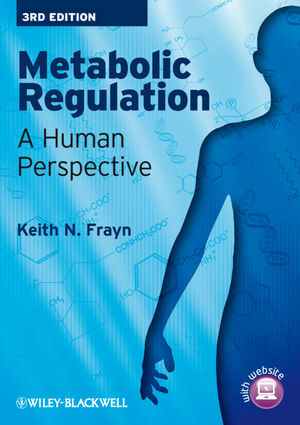 It is much more readable than most books of its type and focuses on nutritional biochemistry and endocrinology and the interactions between your bodies different metabolic systems. Quite a bit of it is avaliable to read on google books. I am in medical school and Lippincotts Illustrated Review: Biochemistry, got me through my biochemistry class. It breaks down concepts into simple terms, but the information is not dumbed down. There are great pictures that help greatly in understanding the concepts. I would go with a used copy. They just came out with a new edition in June, but the last edition is just as good. "My last post got a bit technical and delved into the nitty-gritties of cell biochemistry. For those who would like to learn more about what makes cells tick, I thoroughly recommend the book Metabolism at a Glance (Paperback) by Jack G Salway, Sen. Lecturer in Medical Biochemistry, University of Surrey. It's crammed with diagrams of metabolic pathways and every picture speaks a thousand words. I've also got Medical Biochemistry at a Glance (Paperback) by Jack G Salway. EDIT: I thoroughly recommend this book, too. For more general information on nutrition & metabolism, I recommend the book Introduction to Nutrition and Metabolism (Paperback) by David A Bender, Sen. Lecturer in Biochemistry, UCL. A good website for medical biochemistry information is MedBio.info by Prof. em. Robert S. Horn. A good website for enzyme structures is Enzyme Structures Database. Here's a searchable version of Biochemistry by L Stryer. It's a bit dry, but of interest is Food Intake and Starvation Induce Metabolic Changes and Phosphatidate Is a Common Intermediate in the Synthesis of Phospholipids and Triacylglycerols. Here's NCBI Bookshelf where you can search many textbooks. Here's an absolutely humongous diagram in .pdf format of Metabolic Pathways. You need a fast machine to view this. Update: Here are some cool Animations & Computer-Generated Movies by Harvard University. Here's a YouTube video of ATP Synthase, which takes a proton gradient and, using a molecular motor-generator, converts ADP + Phosphate into ATP, the energy source that cells use." How about some free and very good online videos like those at Khan Academy. but it's not really an intro biochem book. In undergraduate one often uses Berg's Biochemistry. Medical schools seem to prefer Stryer's biochemistry. How much organic chemistry background do you have? What specifically would you like to learn? Tell us a bit more and I'm sure we can make more targeted recommendations. I started reading parts of it several years ago. And my wife got a copy for med school. Good stuff and easy to understand. Hmm, even "Why we get fat" by Gary Taubes explores biochemistry in a basic way, if you are interested in reading a book that isn't JUST biochemistry, but also explores application of biochemistry! I just wrote a brief primer on biochemistry which I intended for my family who have zero background in science. Hopefully it'll help some people here too. How about that Biochemistry book that's at Robb Wolf's website. Robb seems to be touting that one. How is that compared to the ones mentioned above, thanks. Much of the paleo diet involves trying to influence our epigenetics (gene expression). From an easy to read and understand viewpoint, Bruce Lipton's "The Biology of Belief" is hard to beat. In no way does one need to study organic chemistry first: he walks you through all the basics of cell biology (and the basic biochemistry involved). He then ties it to, and gives detailed examples of, the effects various things in our environment on our epigenetics. Might not get you to where you want to be, but a great introductory text that covers the latest scientific thinking. I found this book to be quite clear, having only some basic background in biology and chemistry. I will sound like an elitist, but I would advise you to register to a class at a nearby university if you have the money and/or the time. I find it easier to learn in that way.